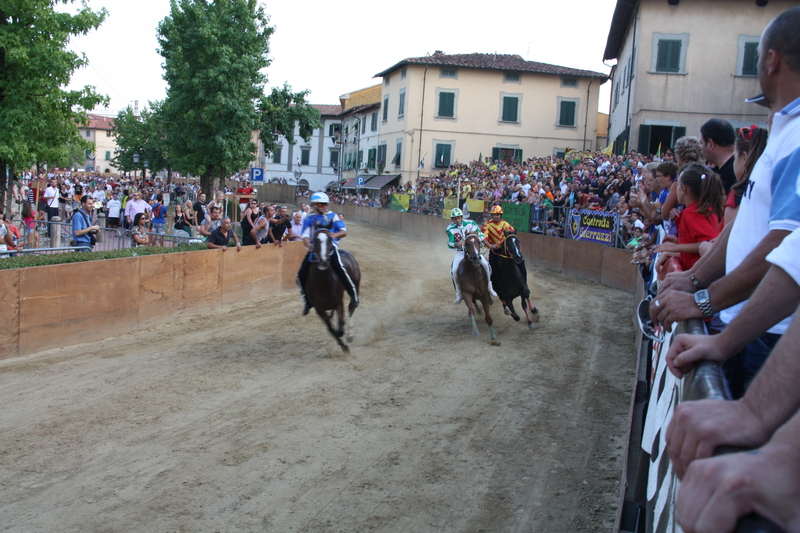 Palio in Bientina is an event that takes place in the third week of the month of july, every year, and it is a horse race around the square. The week before the Palio, on saturday all nine districts unthread in a historical procession, and a jury chooses the winner. On friday of the following week every district organizes a dinner where guests are “contradaioli” (people from the district). 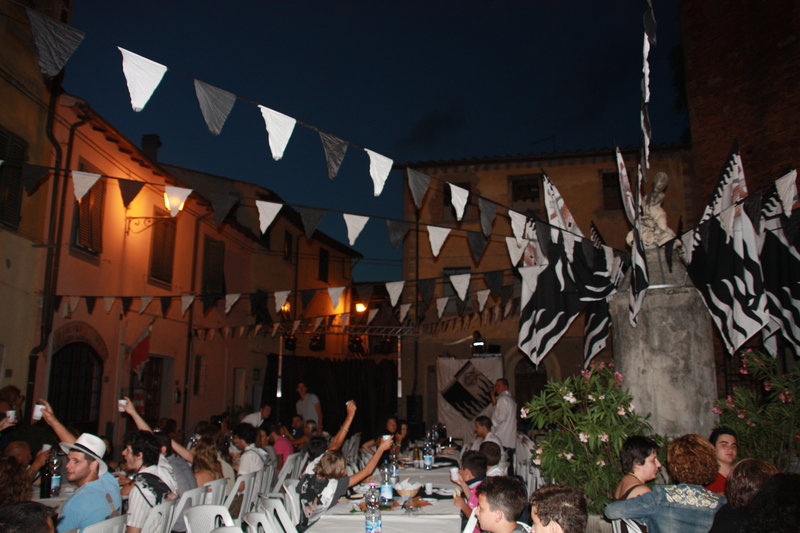 On saturday there is a “Cena della Vigilia”, every district organizes a dinner, where guests are all the people that live in the district and their friends. In this night in every district there is a dj, the jockey’s presentation, and people dancing. At the end of the dinner the people reach the square and stick around that all night. On sunday, in the morning there is a Mass on the square, where the district that won the Palio the year before parade around the square. At 6 p.m. the Palio starts. It is separated into two batteries and the final. People can watch this race on the square, the people of every district watch the race on the platform, there are three platforms around the square and they are separated in nine parts for every district. I love this event, in this month the people who live in Bientina are excited for the same reason and they are all united. And every district works for the whole year for this event, organizing a festival and party.